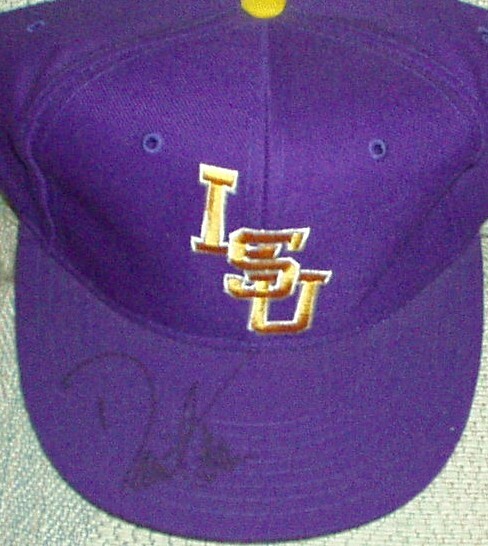 Purple embroidered LSU cap or hat autographed on the bill by PGA Tour star David Toms, who went to college there. Fitted size 7 5/8. ONLY ONE AVAILABLE FOR SALE. With certificate of authenticity from AutographsForSale.com.